Akura the 40ft vessel is perfect for game fishing and large groups, it has full toilet facilities on board and a game chair located in the centre. 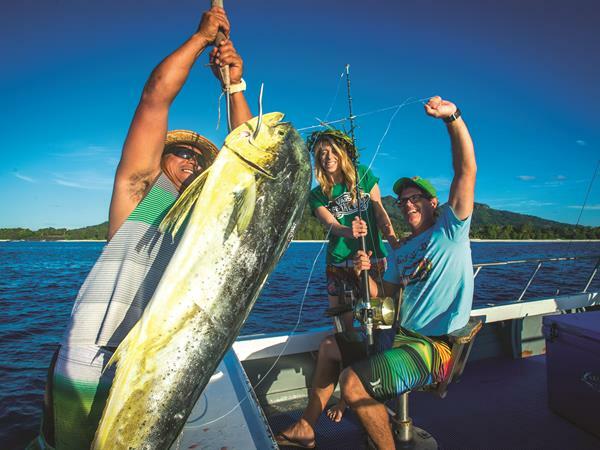 Ikurangi and Te Manga are slightly smaller and both suitable for a wide range of activities including game fishing, spearfish-ing and reef fishing. Fishing around Rarotonga is fantastic you have warm water, great visibility & the expec-tation of ‘catch’ is endless. The fish life here is varied and depending on the season—mainly include Blue Marlin, Sailfish, Wahoo, Barracuda, Mahi-mahi and Yellow-fin & Skip-jack Tuna. Akura has a great professional team and is known for the best catch rates on the island. They have half or full day private charters and half day shared charters that operate in almost any weather from Monday through to Saturday. Included in each fishing trip is all fishing equipment, a light lunch, bottled water as well as shared fish fillets from the catch. 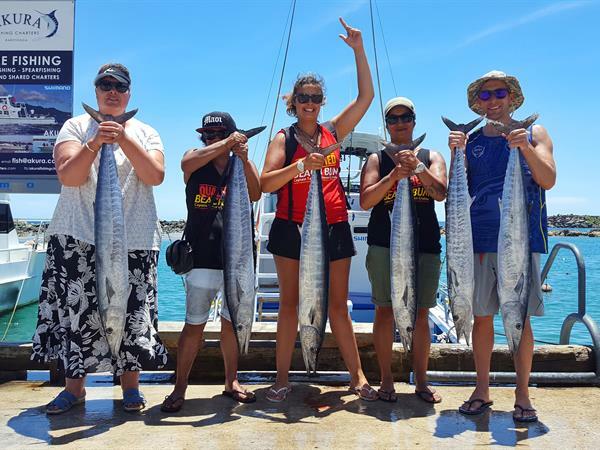 For a fun day out of fishing and exploring the Pacific Ocean, look no further than the friendly team at Akura Fishing Charters. Rate includes light lunch, water, gears, baits and fish caught is shared and filleted by the crew. Children 12 Years and Under FOC. 13 Years Old and Over are charged at Adult Rate. more information * The service above is charged at a flat rate.